← Gideon redux. Elite lawyers avoid Supreme Court criminal cases. Leave it to novices. Is it clear what a difference a few years make in Alabama? 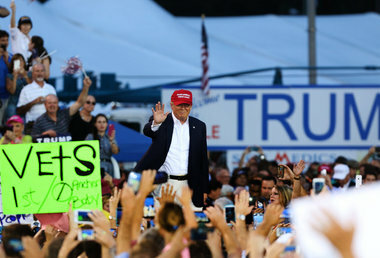 How big was the crowd at Donald Trump’s Alabama rally? “It was one of the greatest events Mobile ever put on aside from Mardi Gras,” said Colby Cooper, Mayor Sandy Stimpson’s chief of staff. Now for a recent remembrance (250 people) of Alabama’s connection to racial violence. Between the Civil War and World War II, thousands of African Americans were lynched in the United States. Lynchings were violent and public acts of torture that traumatized black people throughout the country and were largely tolerated by state and federal officials. EJI has documented more than 4000 racial terror lynchings in 12 Southern states between the end of Reconstruction in 1877 and 1950 — more than 400 of these victims were lynched in Alabama. The program at EJI featured speakers and short films about racial terror lynchings in Alabama. 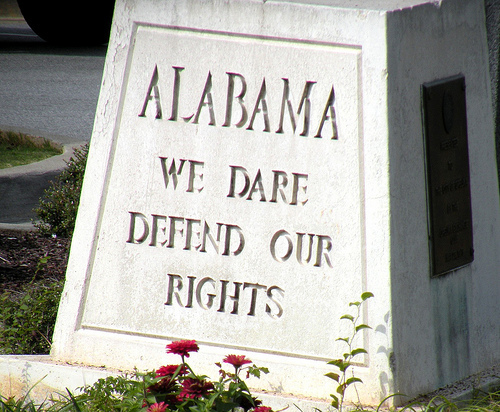 More than 400 people were lynched in Alabama.